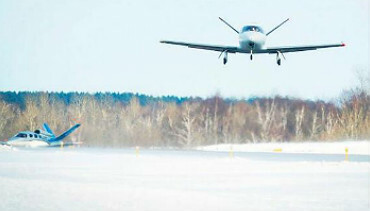 uluth-based Cirrus Aircraft has announced the successful first certification test flight of its personal jet. The single-engine, seven-seat Vision SF50 flew a one-hour test flight out of Duluth International Airport, checking controllability, manoeuvrability and speed as part of the FAA certification process. The aircraft is priced at just under $2 million and features a cruising speed of 300kt, carbon-fibre structure, parachute system and advanced avionics. Cirrus has said it will start delivering the aircraft late next year to more than 500 customers who are already signed up.